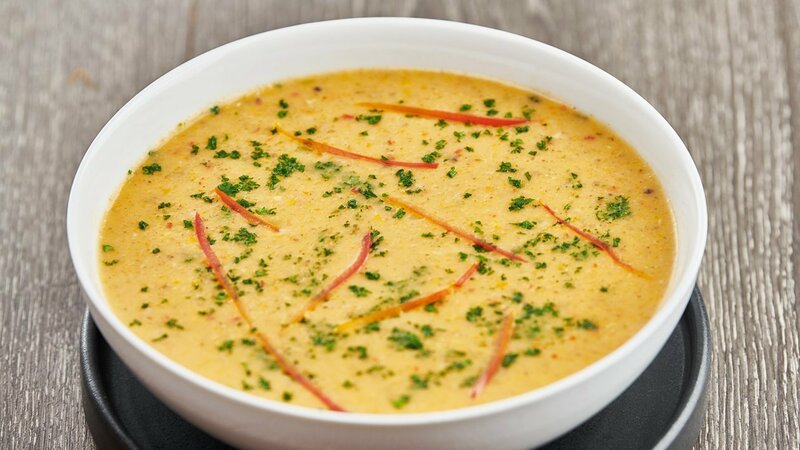 This basic soup with Knorr Soup Base and fresh vegetables is one you will come back to time and time again. Follow the recipe now! Heat Astra Fat Spread in a thick bottom pan and sauté garlic and onion for few seconds. Add all the remaining vegetables and sauté for another few minutes. Stir ½ the water; bring to boil and simmer for few minutes. Finally add remaining water , Knorr Tomato Pronto; mixed with Knorr Soup Base Mix and stir well. Bring to boil and simmer till the pieces are done. Allow it to cool & Puree the soup. Return to heat and simmer for few seconds. Garnish with parsley and Served hot. Finally add remaining water mixed with Knorr Soup Base Mix and stir well. Bring to boil and simmer by adding Knorr Aromat Seasoning Powder and the pieces are done.